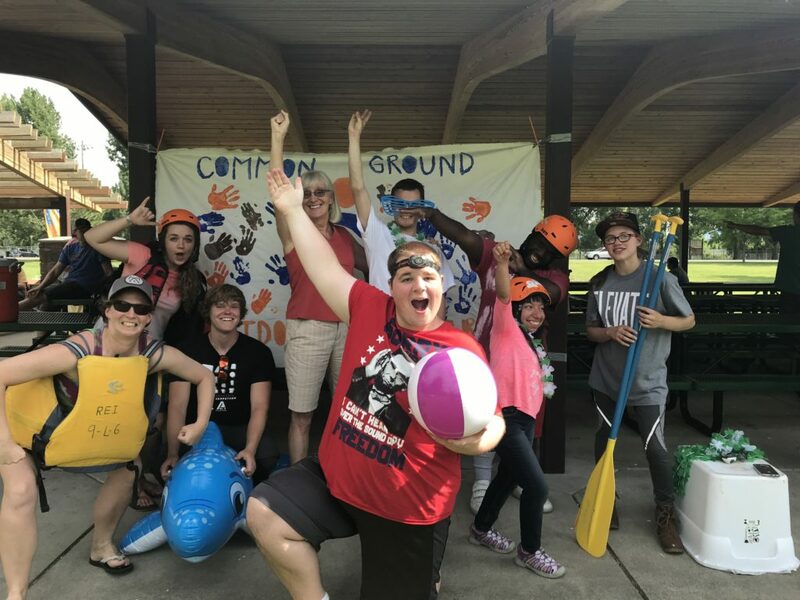 Check out the different adventures CGOA provides during the warmer months of the year! Adaptations to each activity are made so they are as accessible as possible. Our bikes make it possible for anyone to enjoy a bike ride, whether it’s going along for the ride on one of our side by side tandems, learning how to balance on our strider bikes, building road cycling endurance, and everything in between with a variety of hand cycles and specialized tricycles. 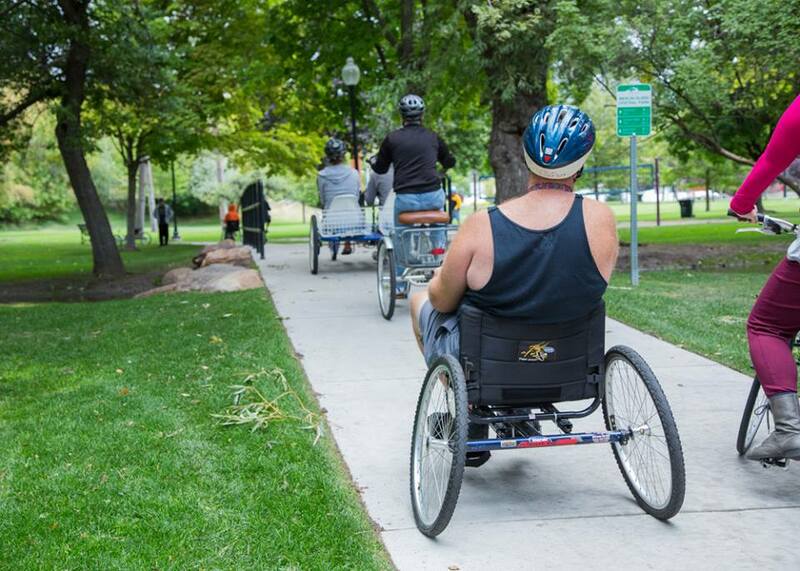 Side by side tandem bikes for individuals who need assistance pedaling, braking, or steering. In-line tandem bikes for individuals who need a guide while cycling. Recumbent trikes for those that need more stability than a standard two-wheeled bike. Junior and adult therapy bikes, for those that need full support. Strider bikes for individuals to learn balance while on a bike. CGOA provides a variety of cycling activities, from social bike rides, strider bike events, challenging road bike rides, cycling activities for schools and agencies, and more! Check the calendar for upcoming events, and contact our staff with more questions. Whether you are interested in adrenaline fueled trips down the whitewater of the Alpine section of the Snake River, a flat water adventure in southern Utah, or something in between, CGOA has a rafting adventure for everyone! 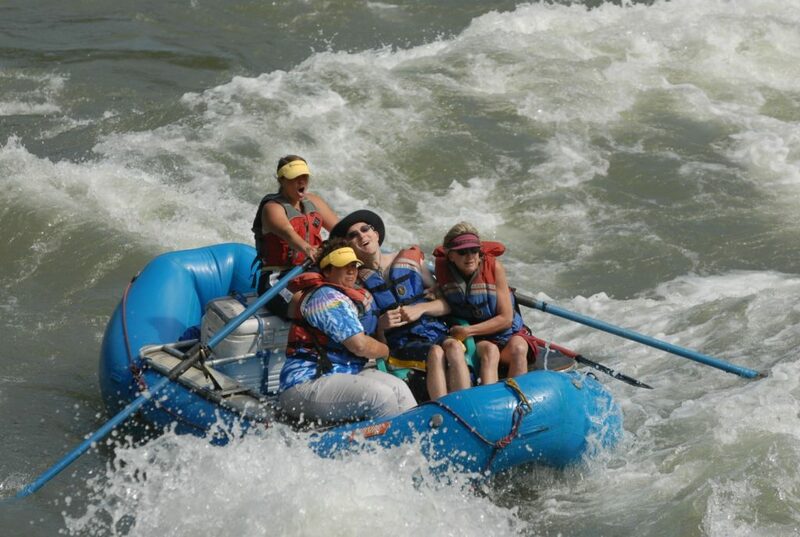 Adaptive equipment, and support from staff and volunteers makes it possible for everyone to enjoy floating on a river! Throughout the spring, summer, and fall Common Ground runs multiple rafting activities and trips. Check the calendar for more info! Canoeing is possible for everyone! Using a variety of adaptive equipment and techniques, everyone is able to canoe. 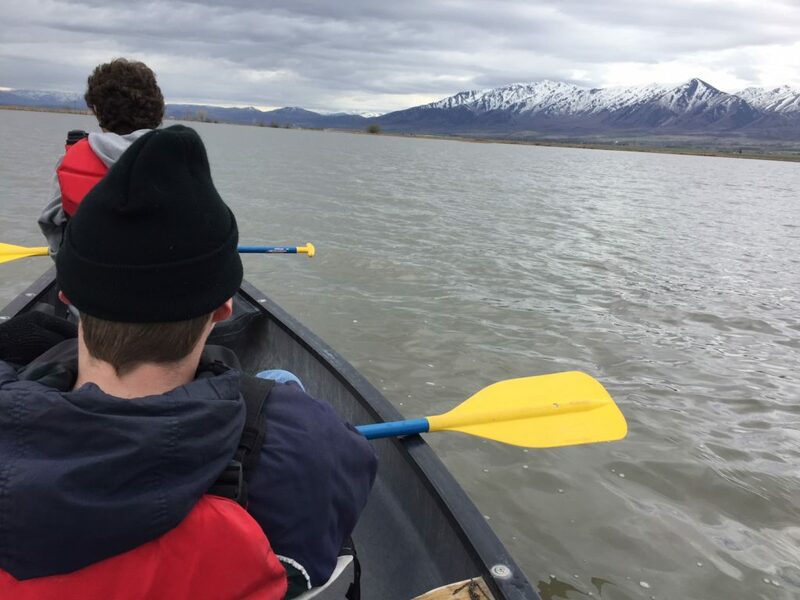 CGOA canoes in a variety of places in and around Cache Valley, including Cutler Marsh, Benson Marina, Cutler Canyon Marina, First Dam, Tony Grove, Bear Lake, and more! Too cold for outdoor canoeing? We can take our canoes indoors to teach water safety, play games, and get more comfortable maneuvering on the water. 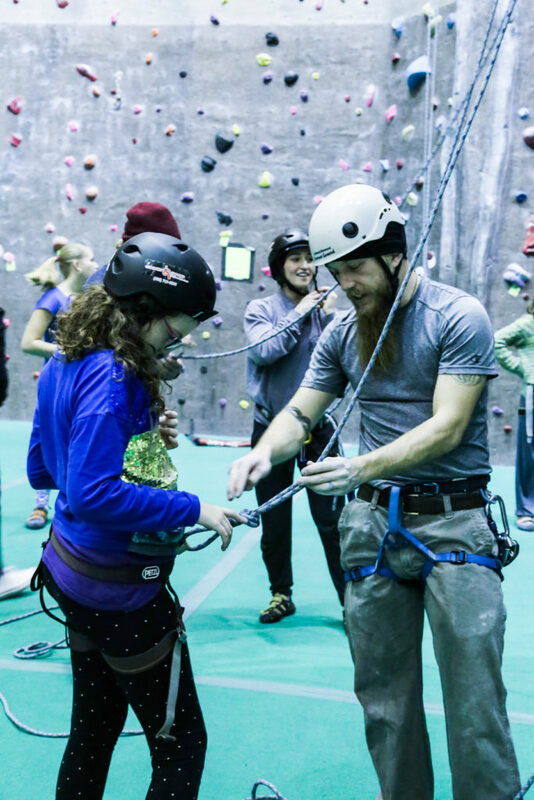 We partner with Elevation Rock Gym to provide the opportunity for everyone to enjoy rock climbing. We have equipment and training that provides us with the means to do so. Rock climbing can empower you to reach new heights! When it is warm and dry, CGOA is now able to provide outdoor rock climbing at our Beaver Mountain Adaptive Center! Our crafts are either inspired by adventure, or are made for adventure. While we already have plenty of arts and crafts in mind, we are also open to try new things based on whatever you may be learning about in your class. There are no limitations as to what we can create. 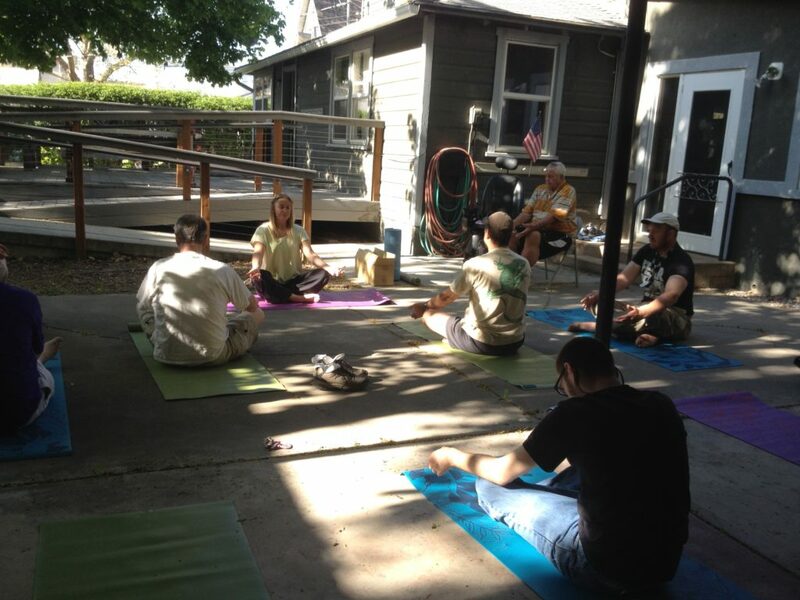 We have so much fun with our adaptive yoga classes. We have been learning new ways to incorporate stories and popular themes into our yoga classes to make them more fun and exciting for everyone. $5 per student. Let’s go explore the mountains! 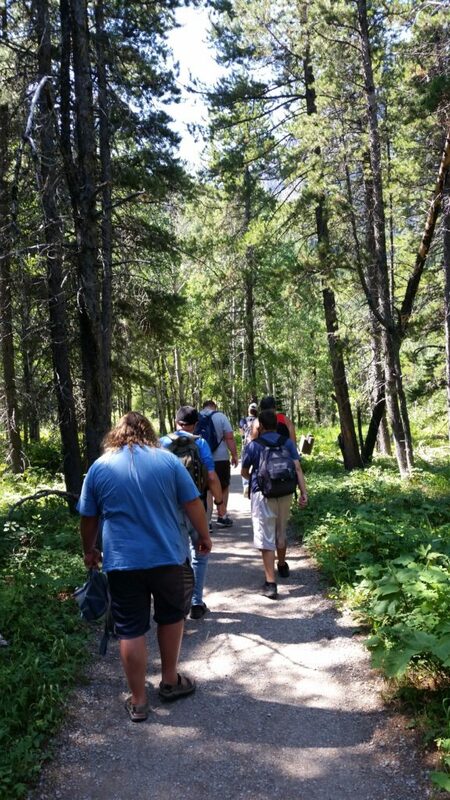 From wheelchair accessible trails to more difficult hikes, we know of trails that will meet your needs and interests! 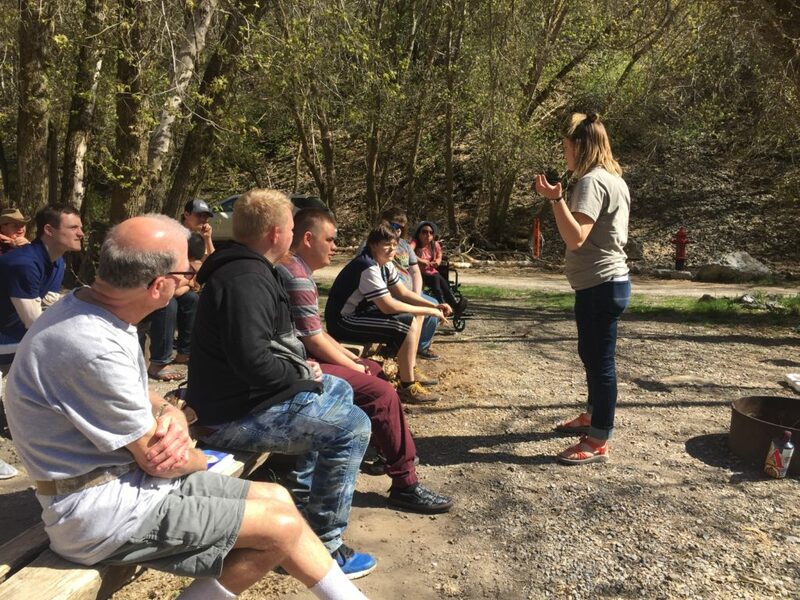 Trails range from wheelchair accessible packed gravel and pavement like the Bonneville Shoreline Trail, Riverwalk Trail, to more challenging hikes to the Wind Caves, Crimson Trail, and more! Check with CGOA staff during sign up to see if each that week’s trail is a good fit for you. In the warmer months of the year, CGOA typically hosts an intro to summer and end of summer social. Socials are very fun free events hosted by CGOA where the goal is to celebrate the season, play games, and share food together! It is a great way to get to know our local community. Check the calendar for upcoming socials! What's it going to take to get you on the road to adventure? Check the calendar for upcoming activities and events!